Analysis: Recovering from a Week 1 fracture and dislocation of his right ankle, Walker hadn't resumed running as of early January, but he said in March that he was hoping to run and catch passes at OTAs in May. Although he still has time to meet his goal, Monday's comment suggests training camp may be the more realistic target for a return to practice. Walker will turn 35 in August and has two seasons remaining on his contract with the Titans. Analysis: Walker is approaching his age-35 season and is aiming to return from surgery to repair a dislocated and fractured right ankle. Although it's uncertain he'll be ready for OTAs this spring, the Titans have little incentive to rush the veteran tight end back this far ahead of the regular season anyway. By no means would it be a surprise if Walker is either sidelined or limited to individual drills when workouts commence. Walker provided some updates on his progress returning from a broken ankle, the most noteworthy being that he is still not running, Jim Wyatt of the team's official site reports. Walker (ankle) believes he is ahead of schedule in his recovery and expects to begin running in a few weeks, Paul Kuharsky of 104.5 The Zone Nashville reports. Walker (ankle) said Tuesday he received clearance to walk on a treadmill approximately 10 days prior, John Glennon of The Athletic reports. Walker (ankle) is still donning a walking boot to protect his surgically repaired right ankle, but the tight end is hopeful he'll be able to return from injured reserve at some point this season, Jim Wyatt of the Titans' official site reports. "In my mind, it's just to get healthy. But in the back of my mind, if I can get healthy earlier where I can come back and play, I'm going to do that," Walker said. Analysis: Despite his positive outlook on the situation, Walker's comments appear to be little more than blind optimism at this point. According to Turron Davenport of ESPN.com, Walker was using crutches to get around the locker room Friday, suggesting a return to on-field work isn't on the horizon. 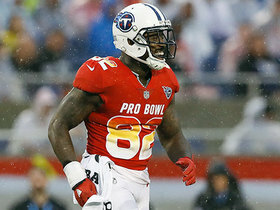 More realistically, the Titans will remain focused on getting Walker healthy in time for the 2019 season in what will be a contract year for the veteran. Walker has swapped a knee scooter for a walking boot as he recovers from a broken right ankle, John Glennon of The Athletic reports. Walker (ankle) has been placed on injured reserve, Cameron Wolfe of ESPN.com reports. Analysis: Diagnosed with a broken ankle accompanied by ligament damage, Walker probably won't have any chance to be brought back from injured reserve late in the season. Jonnu Smith figures to step in as Tennessee's top receiving threat at tight end, with blocking specialist Luke Stocker potentially also taking on some extra snaps. Smith was a third-round pick last year and caught 18 of 30 targets for 157 yards and two touchdowns across 552 offensive snaps as a rookie. Walker, who suffered a broken ankle as well as ligament damage Sunday, is not expected to play again this season, Adam Schefter of ESPN reports. Analysis: With Walker not likely to see the field again in 2018, Jonnu Smith appears poised to step into key role in the Titans offense moving forward. Walker has been diagnosed with a dislocated right ankle and likely will miss the rest of the 2018 season, Ian Rapoport of NFL Network reports. Analysis: The injury looked bad right when it happened, and the Titans then carted Walker off the field with an air cast around his right leg. He reportedly suffered some kind of fracture in addition to the dislocated ankle, likely ending his impressive streak of 11 consecutive seasons playing 14 or more games. Jonnu Smith is the next man up at tight end for a Tennessee offense that had three turnovers and one touchdown in Sunday's 27-20 loss to the Dolphins. Walker left Sunday's game against the Dolphins with an apparent right leg/ankle injury. Analysis: Walker was unable to stand up after a 15-yard reception late in the fourth quarter, eventually getting carted off the field with an air cast around his right leg. His injury appears quite serious, leaving Jonnu Smith as the Titans' top tight end. Walker finishes the game with four catches for 52 yards on seven targets. Walker (undisclosed) doesn't appear on the Titans' Week 1 injury report, Jim Wyatt of the team's official site reports. Analysis: Walker previously noted that he planned to play in the Titans' regular-season opener against the Dolphins, and his absence from Wednesday's injury report confirms the tight end will be available. As long as the 34-year-old can stay healthy, he should remain a key cog in the Tennessee offense on the heels of a 2017 campaign in which he hauled in 74 passes (on 111 targets) for 807 yards and three scores in 16 games. Walker (undisclosed) maintains that he still plans to play in the Titans' regular-season opener against the Dolphins, John Glennon of The Athletic Nashville reports. Analysis: That notion would be solidified by Walker's return to practice this week, though it's not hard to imagine him ultimately being listed as questionable on Friday's final Week 1 injury report. Next up for snaps in the event that Walker is limited at all this week is Jonnu Smith. Luke Stocker and Anthony Firkser remain on hand in reserve roles at the tight end position. Walker (undisclosed) was in uniform during the open portion of Monday's practice, Jim Wyatt of the Titans' official site reports. Analysis: Though the nature of Walker's injury and his participation level Monday were not detailed by the report, that the tight end suited up for the session supports Walker's confidence that he'll be good to go in time for the Titans' regular-season opener. Walker (undisclosed) indicated Monday that he's fully confident he'll be fine for Week 1, Turron Davenport of ESPN.com reports. Analysis: Though the specific nature of Walker's injury issue is unclear, it appears to be a minor concern. It's safe to assume the tight end won't play in Thursday's preseason finale against the Vikings, but Walker's regular-season availability does not seem to be in danger, especially after he took part in Monday's practice, per Erik Bacharach of The Tennessean. Walker (undisclosed) has not practiced all week, Turron Davenport of ESPN.com reports. Analysis: Walker hasn't been able to practice since he pulled up limping after making a catch last Thursday. So far there has been nothing to suggest that the tight end's Week 1 availability is in peril, but it's safe to assume that he won't play in Saturday's preseason game against the Steelers. Walker (undisclosed) won't suit up for Saturday's preseason contest against the Buccaneers, Terry McCormick of TitanInsider.com reports. Analysis: Walker left Thursday's practice with an evident limp at the conclusion of a catch. The severity and nature of the injury are unknown, but the Titans will hold out their starting tight end in this exhibition. Expect Jonnu Smith to get a healthy dose of reps with the first-team offense during Walker's recovery. Per coach Mike Vrabel, Walker is "being looked at" after limping off the practice field Thursday, Jim Wyatt of the Titans' official site reports. Analysis: The exact nature of Walker's issue is unclear, but the Tennessean notes that the tight end was "grabbed low before hobbling to the sideline" Thursday. Next up for the team's reps at the position in the event that Walker misses any time, is Jonnu Smith. Walker "pulled up limping" after making a catch during Thursday's practice, Paul Kuharsky of 104.5 The Zone Nashville reports. Analysis: Jim Wyatt of the Titans' official site adds that the tight end then headed to the locker room to get checked out. If Walker's issue is anything more than cramping or a minor tweak, he could be held out of Saturday's preseason game against the Buccaneers. Walker was back at practice Sunday, Terry McCormick of TitanInsider.com reports. Analysis: Walker was absent from Saturday's practice session for undisclosed reasons. He returned to the fold Sunday and resumed his role as the team's top tight end. Walker did not practice Saturday, Jim Wyatt of the Titans' official site reports. Analysis: Walker is fresh off a two-year contract extension and perhaps his absence is a matter of finalizing paperwork. If Walker is not in pads by the team's next practice, then questions and concerns regarding his status become increasingly relevant. Until then, there doesn't appear to be a great concern. Walker is signing a two-year, $17 million extension with the Titans, Adam Schefter of ESPN reports. Analysis: Previously entering a contract year, Walker is now signed through 2020. He said this offseason that he thinks he can play four more seasons, and while his assessment may be optimistic, he did reach 800 receiving yards each of the past four years. Walker will turn 34 in August, making him the elder statesmen of an otherwise youthful Tennessee offense. He's still a threat to lead the team in targets, of which there should be more to go around under new offensive coordinator Matt LaFleur. Walker believes he can play four more seasons, Jason Wolf of The Tennessean reports. Walker was targeted six times in Saturday's 35-14, divisional round loss to the Patriots, hauling in three of those targets for 49 yards. Analysis: Walker's biggest play was a 36-yard catch to open a 95-yard touchdown drive in the first quarter. The veteran tight end was quiet after that, however, as New England dominated possession the rest of the way. Tennessee could cut the 33-year-old Walker rather than pay him $5.4 million for the final year of his deal next season, but that course of action seems highly unlikely with Walker coming off four consecutive campaigns of at least 60 catches and 800 yards. Walker led his team with six catches for 74 yards on eight targets in Saturday's 22-21 win over the Chiefs in the wild-card round. Analysis: Walker was Marcus Mariota's go-to receiver in key situations when the quarterback wasn't getting things done with his feet. The veteran tight end likely doesn't have many playoff runs left in him at age 33, but he remains a key cog in an offense that often does just enough to win. Tennessee will have to upset ether the Patriots or the Steelers on the road next week in order to advance. Walker brought in three of five targets for 19 yards in Sunday's 15-10 win over the Jaguars. Walker came up with three catches for 33 yards on five targets in Sunday's 27-23 loss to the Rams. Analysis: Walker was held below 50 receiving yards for the third consecutive game after recording at least 63 in each of his previous six. The veteran tight end heads into next week's season finale against Jacksonville with a disappointing three receiving touchdowns after scoring a combined 13 over the previous two seasons, though he'll need just 12 yards to reach 800 for the fourth year in a row. 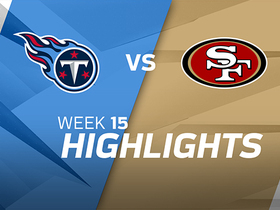 Walker caught five of 10 targets for 37 yards and a touchdown during Sunday's 25-23 loss to the 49ers. Walker caught five of nine targets for 42 yards during Sunday's 12-7 loss to the Cardinals. Walker (ankle) was a full practice participant Friday and will play in Sunday's game in Arizona. Analysis: Walker has been playing through the ankle injury since late October and producing at a much higher level than he did earlier this season. While his touchdowns the past two weeks were his first two of the year, he's working on a six-game streak with at least four catches for 63 or more yards. The Cardinals have given up six touchdowns to tight ends, but they've also surrendered just 5.9 yards per target and 42.5 yards per game. Walker (ankle) won't participate in Thursday's practice, but Titans head coach Mike Mularkey said he expects the tight end to practice Friday, Cameron Wolfe of ESPN.com reports. Analysis: Walker's absences from the first two days of practice this week look to be mostly precautionary while he continues to nurse a right ankle issue that has plagued him since late October. Despite managing continued soreness, Walker's play hasn't declined as a result. The veteran has amassed 33 catches for 415 yards and two touchdowns over the past six games, providing no fewer than 63 yards in any contest. Walker (ankle) didn't practice Wednesday, Cameron Wolfe of ESPN.com reports. Titans head coach Mike Mularkey said Walker suffered an ankle injury in Sunday's win over the Texans and is considered day-to-day, Terry McCormick of TitanInsider.com reports. Walker caught all five of his targets for 63 yards and a touchdown in Sunday's 24-13 win over the Texans. Analysis: Walker took over on a late third-quarter drive with the game tied 10-10, taking a 13-yard catch up the sideline to set up an ensuing 4th-and-1 conversion before hauling in a 24-yard touchdown to take the lead. The veteran tight end came up hobbling a couple times in this one, but has persevered through injuries for most of the year and is heating up at the right time with exactly 63 yards and a touchdown in consecutive games. Walker led his team with four catches for 63 yards and a touchdown on five targets in Sunday's 20-16 win over the Colts. Analysis: Walker had a lower-body injury scare in the first quarter, but was able to return promptly. He made a 37-yard catch in quadruple coverage later in the opening quarter and scored a two-yard touchdown on a play-action call in the third. That touchdown was Walker's first receiving score and second trip to the end zone overall this season. It was a well-deserved reward for a tight end that's been extremely consistent in the yardage department with at least 63 in each of his past five games. Walker brought in six of nine targets for 92 yards in Thursday's 40-17 loss to the Steelers. Walker (forearm) doesn't carry an injury designation ahead of Thursday's road game against the Steelers. Analysis: The Titans' top tight end will thus continue to play through his aches and pains Thursday after he turned in full practices Tuesday and Wednesday. The Steelers are riding a four-game winning streak into the contest and have been tough on the pass this season, but expect Walker to remain a key cog in the Tennessee attack in Week 11. He's combined for 18 catches on 24 targets for 197 yards over his last three outings. Walker (forearm) was a full practice participant Tuesday. Analysis: Like quarterback Marcus Mariota (ankle), Walker followed up a limited listing Monday with an uninhibited practice one day later. With no question about his odds to play Thursday at Pittsburgh, Walker can focus on a Steelers defense that has given up a measly 5.5 YPT and two touchdowns to tight ends this season. Walker (wrist/ankle) is listed as a limited participant on Monday's injury report, Paul Kuharsky of 104.5 The Zone reports. Analysis: Walker has an impressive track record of playing through injuries, and neither of his current issues is believed to be serious. He actually played through the ankle injury the past two weeks, catching 11 of 14 targets for 134 yards against a pair of tough opponents (Cincinnati and Baltimore). He's expected to handle his usual workload in Thursday's matchup versus the Steelers, another AFC North team with a solid defense. Though Walker is dealing with both ankle and wrist issues, the tight end is expected to play and see a normal workload Thursday night against the Steelers, Jason Wolf of The Tennessean reports. Analysis: On the short turnaround, we'd expect Walker's on-field activities to be limited in advance of Thursday's contest, but he'll remain a viable fantasy lineup option in Week 11. While seeing action on 74 percent of the Titans' snaps on offense in Sunday's 24-20 win over the Bengals, Walker hauled in six passes (on nine targets) for a team-high 63 receiving yards. Walker hurt his wrist during Sunday's 24-20 win over Cincinnati, but the injury isn't believed to be serious, Jason Wolf of The Tennessean reports. Walker (ankle) hauled in six of nine targets for a team-leading 63 yards in Sunday's 24-20 win over the Bengals. Analysis: While DeMarco Murray stole the show with a three-touchdown performance, Walker was his team's most consistent offensive player besides the veteran running back. The tight end still doesn't have a receiving touchdown this year, but he's topped 60 receiving yards five times, including each of the past three weeks. Walker (ankle) is listed as active for Sunday's game against the Bengals. The Titans expected to have Walker (ankle) available for Sunday's game against the Bengals, a source informed Ian Rapoport of NFL Network reports. Walker (ankle) is listed as questionable for Sunday's game against the Bengals after returning to a limited practice Friday, Jim Wyatt of the Titans' official site reports. Analysis: Barring any setbacks, look for Walker to continue to tough things out through his ankle issue, an outcome that we'll confirm either way as Sunday's 1:00 PM EDT kickoff approaches. 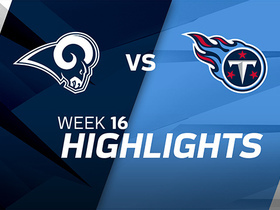 The Titans' top tight end worked through his ankle woes last weekend, hauling in all five of his targets for a team-high 71 receiving yards while playing 32 offensive snaps in the Titans' 23-20 win over the Ravens. Walker (ankle) didn't practice Thursday, Jason Wolf of The Tennessean reports. Analysis: Per the report, Titans head coach Mike Mularkey hopes that Walker -- who has been dealing with a bone bruise in his ankle -- will be able to practice Friday. If that happens, look for the tight end to continue to play through the issue Sunday against the Bengals. Walker (ankle) didn't practice Wednesday, Jason Wolf of The Tennessean reports. Analysis: Walker was held out of practice with the same injury last Wednesday and Thursday, eventually returning to limited participation Friday. 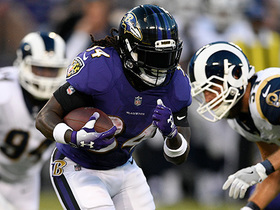 He then looked like his usual self in Sunday's 23-20 win over the Ravens, catching all five of his targets for 71 yards while logging 62 percent of the offensive snaps. With no setback reported, the Titans likely are just trying to keep Walker fresh for Sunday's game against Cincinnati. Walker will be limited in practice this week due to an ankle injury, Terry McCormick of TitanInsider.com reports. 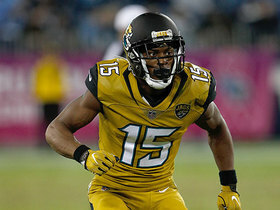 Analysis: Walker's workload Sunday against the Ravens (61.5 percent of the offensive snaps) fell within this season's norm -- 52.8 to 82.8 percent -- which he utilized to establish a team-high five catches for 71 yards. The yardage marked his most since Week 1, but the target count (five) was his second-fewest of the season. Expect Walker's practice limitations this week to serve as maintenance for the 33-year-old tight end more than anything. Walker (ankle) caught all five of his targets for a team-leading 71 yards in Sunday's 23-20 win over the Ravens. Analysis: Reliable as usual, Walker didn't look bothered by a bone bruise after using last week's bye to heal. He's been held to just a single rushing score through eight games after hauling in 13 receiving touchdowns over the past two seasons, but the 33-year-old tight end has provided a reliable floor by topping 60 yards in half of his appearances this year. Walker (ankle) is listed as active for Sunday's game against the Ravens. Analysis: Walker, who has been dealing with a bone bruise in his right ankle, will give it a go Sunday, but if he is limited at all or suffers any in-game setbacks, rookie Jonnu Smith would be in line for an expanded Week 9 workload. Walker (ankle) is listed as questionable for Sunday's game against the Ravens after practicing in a limited fashion Friday, Jim Wyatt of the Titans' official site reports. Analysis: Walker is dealing with a bone bruise in his right ankle, per Jason Wolf of The Tennessean, which prevented him from practicing in any capacity until Friday. If the Titans' top tight end is ruled out or limited at all Sunday, rookie Jonnu Smith would be in line for an expanded workload in Week 9. Walker (ankle) didn't participate in Thursday's practice, Cameron Wolfe of ESPN.com reports. Walker (ankle) didn't practice Wednesday, Jim Wyatt of the Titans' official site reports. Analysis: Though Walker noted that he's feeling better on a daily basis, he still taking things day-by-day as Sunday's game against the Ravens approaches. If Walker is out or limited at all this weekend, Jonnu Smith would be in line for added opportunities in the Titans Week 9 offense. 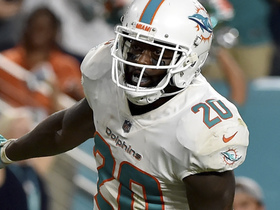 Miami Dolphins safety Reshad Jones gets an interception off of Tennessee Titans quarterback Blaine Gabbert and returns the INT for 54 yards in Week 1 of the 2018 NFL season. 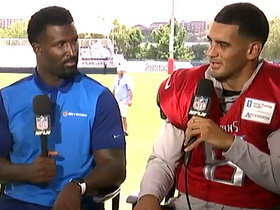 Tennessee Titans quarterback Marcus Mariota joins 'Inside Training Camp LIVE' to discuss the upcoming season as well as fellow teammate tight end Delanie Walker. Listen as Tennessee Titans tight end Delanie Walker and Jacksonville Jaguars wide receiver Allen Robinson are mic'd up in Week 8. 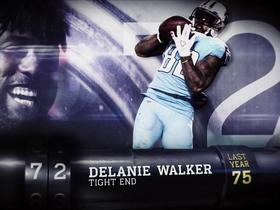 Tennessee Titans tight end Delanie Walker is voted the No. 72 best player in the NFL by his peers on "Top 100 Players of 2018." 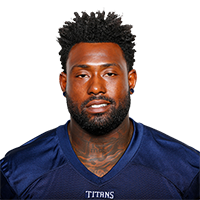 Tennessee Titans tight end and Pro Bowl Offensive MVP Delanie Walker joins NFL Total Access after the game to talk about which teammate he tried to recruit to come joins him in Tennessee. The Los Angeles Rams clinch the NFC West with a 27-23 victory over the Tennessee Titans in Week 16. 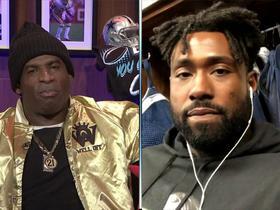 NFL Network's Deion Sanders talks with Tennessee Titans tight end Delanie Walker about the Titans Week 16 matchup against the Los Angeles Rams. 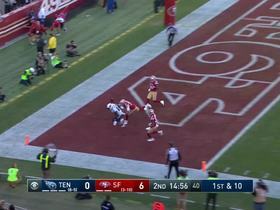 Tennessee Titans tight end Delanie Walker drops pinpoint, would-be TD pass by Marcus Mariota.